Mandy is NOT happy about the PWI Women's 100 ranking and she really want to vent her frustrations. 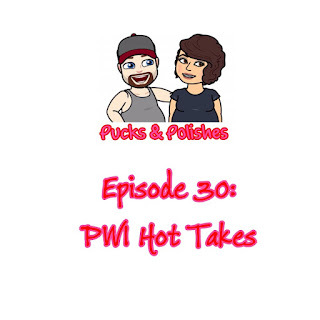 After which she gives her opinion on the biggest male names in the business and then finally your favortie discuss seeing In The Heights at the Milwaukee Rep and which Lin Manuel Miranda Broadway show they prefer. Where's Sal? 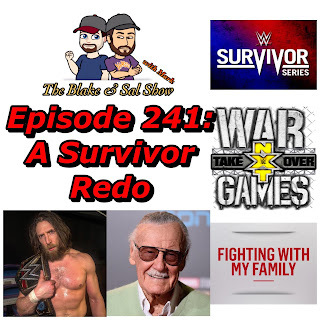 Find at the top of the show before Blake and Mark talk about the legacy of Stan Lee, discuss the Fighting with My Family trailer, talk about Becky Lynch's injury, Daniel Bryan changing up the plans at Survivor Series and then preview NXT Takeover: War Games and WWE Survivor Series. While still fighting with computer issues, the guys are back together to break format and with the help of Mandy, draft the wrestlers they would start a promotion and then put together an ultimate fantasy wrestling card. 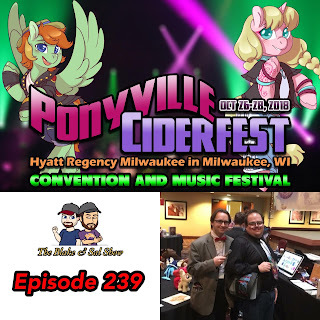 Kyle and Matt bring you full coverage from the Hyatt Regency in Milwaukee, WI of the 2018 Ponyville Ciderfest including panels, fan interviews and more! This is a three part special. It's that time of the year! 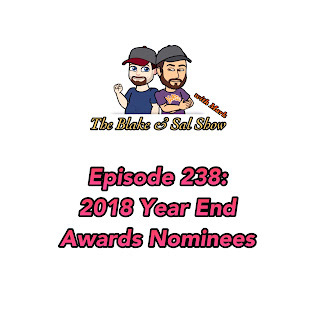 The reveal of the nominations of The 2018 Blake & Sal Show Year End Year Awards! 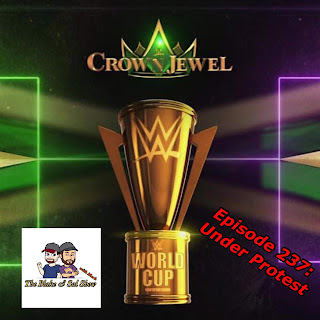 After some major tech issues in the main studio, Blake and Mark step into Studio B to do a quick show where they preview and discuss WWE Crown Jewel in Saudi Arabia. Neither guy are really looking forward to the show but at least they have Evolution to talk about first. It's pretty low and fast but enjoy the show.